I have to say that heat intolerance is my oldest and my most miserable MS symptom. On my post “Early Days” I write about some of the early heat problems that I had. I always wondered why I didn’t like heat! Now, I know why! In 2018 when it gets above 78 degrees I head indoors. If I stay outside for more than 30 minutes I start to feel very uncomfortable. My skin starts crawling and I’ll start to get brain fog and some cognitive issues. 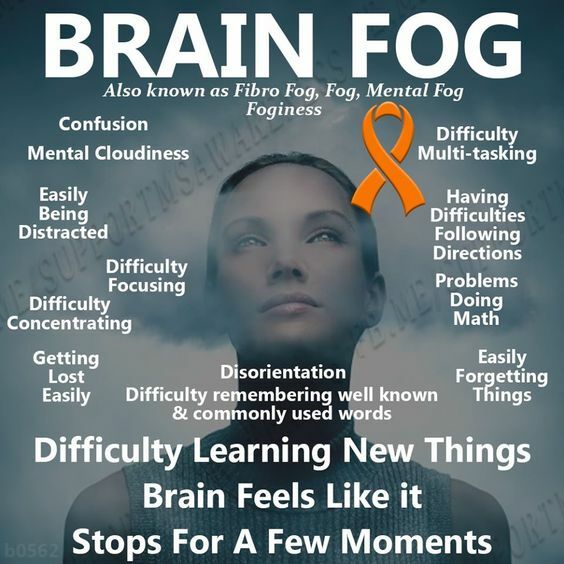 ** When heat, memory and cognitive issues of MS join together it is commonly referred to as brain fog or cog fog. When brain fog rolls in it’s easy to feel like your really losing it! If I get really hot I can get brain fog. Hot weather, a sauna or hot tub will also bring on my brain fog. Brain fog is that unable to focus, fuzzy brain feeling to those black hole episodes when you have absolutely zero recollection. For some reason you suddenly don’t remember a conversation, commitment or event. It’s frustrating when the wrong words come tumbling out of your mouth. You walk over to your colleague’s desk and can’t remember why you went over there. You may feel like you need to put more effort into looking like you have your act together. Another thing is that you don’t want people around you to lose confidence in you. You don’t want your colleagues thinking you are untrustworthy. You have MS and the last thing you want to do is to be treated like an Alzheimer’s patient, right? – If you have fatigue problems heat can worsen that fatigue. – Avoid extreme temperatures. Extremely hot temperatures may worsen your symptoms of Multiple Sclerosis. – Avoid exercise on hot and humid days and never exercise to the point of fatigue. – Cooling vests are now available if you have to be out in heat. – Use air conditioning. If hot and humid conditions worsen your MS try to stay in cool and dry areas as much as possible. – A home air conditioner may be tax-deductible for some people with MS so talk to your doctor about that. Some people use a cooling vest on extremely warm days. – On extremely hot days I think it’s OK to just stay home. Here are some of my most memorable heat intolerance stories. It’s funny how you can remember things that are 40 years old but these things obviously made an impression on me because they were so hot. It was late June in 1979. I had a girlfriend named Sara at the time who lived for the sun. She always had a deep, gorgeous tan. On this particular Saturday she asked me to come over and lay in the sun with her. By 11am it was already 85 degrees and headed to 95! I went over and sat on a lawn chair talking with Sara. We were in her backyard on concrete. Sara was wearing a one-piece bathing suit and I had shorts and a tank top on. The day was scorching hot! I remember this 39 years ago like it was yesterday. I sat out there in the sun talking to Sara exactly 15 minutes and suddenly I got up. I was already sweating like a pig! I told Sara it was too hot for me. There wasn’t any breeze so my skin was starting to crawl like it does now when something is too hot. I walked into her parents house. Sara’s parents had central air and it was cool in the house. To me, it felt nicer inside than out on this day. I sat there watching TV, had a beer and after cooling off for 20 minutes I went back outside. I told Sara I’d see her later which I think surprised her. I was kind of woozy, uncomfortable and mumbling how hot it was! The next story is kinda long so I pre-apologize. The story is about a slow pitch softball tournament from 1979. We were scheduled to play in Lanesboro, MN. We had a good team and looked forward to finishing high in the tourney. Lanesboro is a little town in Southeast Minnesota. To get to Lanesboro you have to get off the 4-lane highway from Rochester and get on a 2-lane highway to Lanesboro. The 2-lane highway was a long winding road that goes deep into a big valley. At the bottom of the big valley is Lanesboro. The ballpark was situated at the bottom and against a big rock embankment. It was like playing in Boston with the “Big Green Monster”. I hope this makes sense. The field in Lanesboro was a nice little park. However, on the other side of the outfield fence was that big rock embankment. If you hit a homerun there was a good chance the ball would ricochet off the embankment and bounce back onto the field. The other thing that big rock embankment did was hold in the heat making the field seem even hotter. It didn’t take me long to realize that little softball field was going to be a hotbox. In fact, after loosening up our arms for the first game we were all sweating profusely. On the Saturday of the tournament it was at least 90 degrees, very humid with no wind! And if there was any wind that rock embankment blocked it from getting to the field only making it hotter! One good thing was that we wore shorts and T-shirts when we played so it was a little cooler! Not! I can’t remember how many games we played that weekend but it felt like we were being deep fried! Most of my teammates didn’t like the heat but they could tolerate it. I was just miserable!! All weekend I was looking for trees or a lake that would make it cooler. Heat affects people in different ways. I guess one teammate that didn’t care for the heat was our captain Mike. In the afternoon on Saturday we were looking for him. In 30 minutes we had another game to play. Mike was no where to be found. After searching for 20 minutes we found him in the back of his Subaru hatchback. Mike had crawled into the back of his hatchback and shut the door. Mike had the windows rolled up and it must have been at least 120 degrees in there. We dragged him out of the car kicking and screaming that he wanted to stay. He told us later he wanted to stay in the car because he thought it would be cooler and provide more shade! Old Mike had kinda lost his mind there for awhile. That’s how hot it was that weekend!